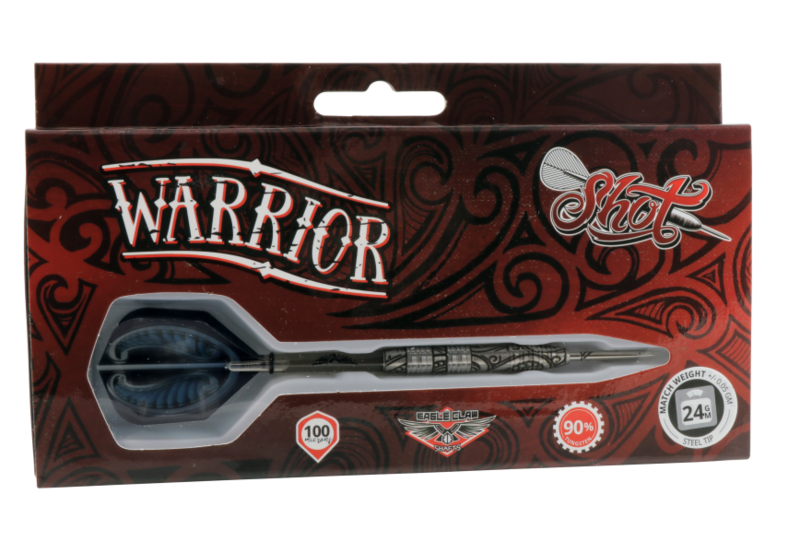 Capturing the indigenous spirit of Pacific Warriors, the Warrior features tattoo design work from renowned New Zealand artist Ruatoto Henry. 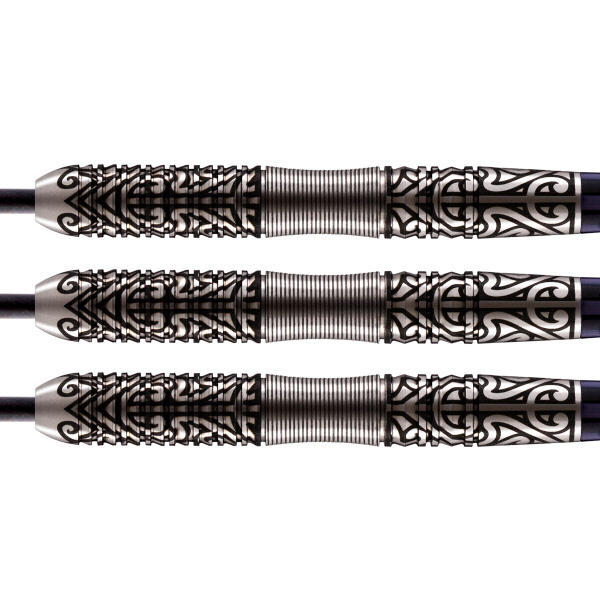 The flowing tattoo design includes the New Zealand fern, for abundance and good health (and great playing). 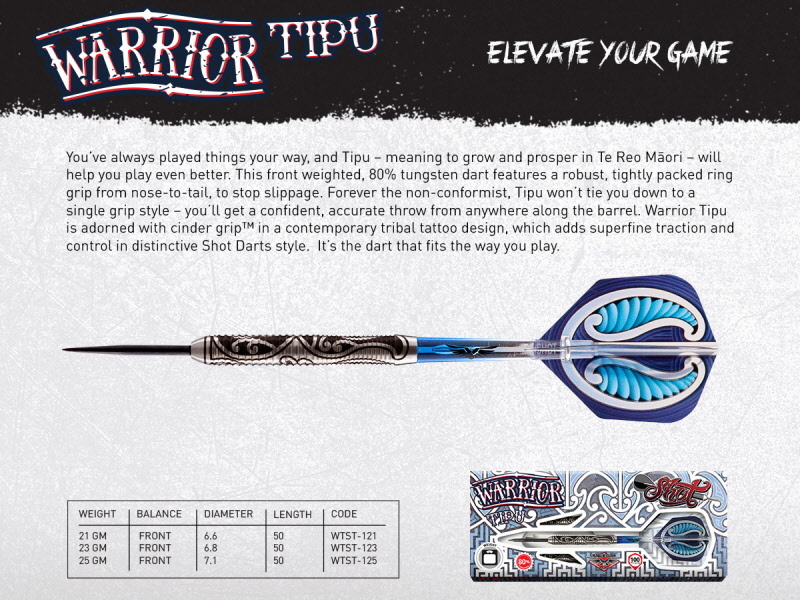 With its bone white shaft and cinder grip™ (superfine grip technology) on the points and barrel, the Warrior represents a taiaha – a Maori spear used for close combat. 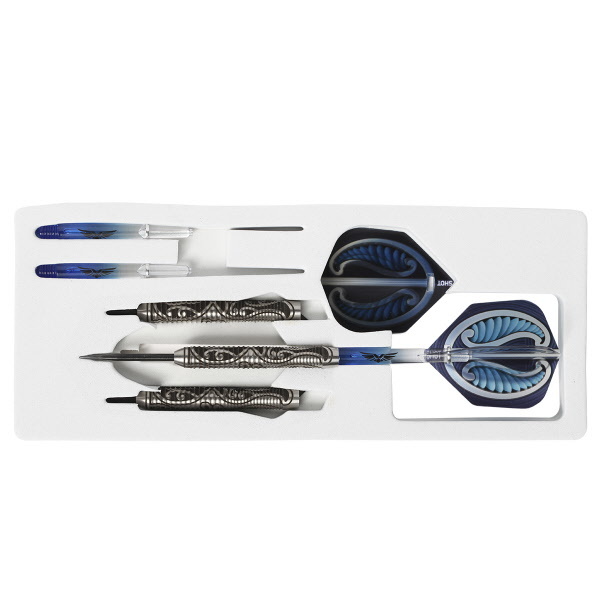 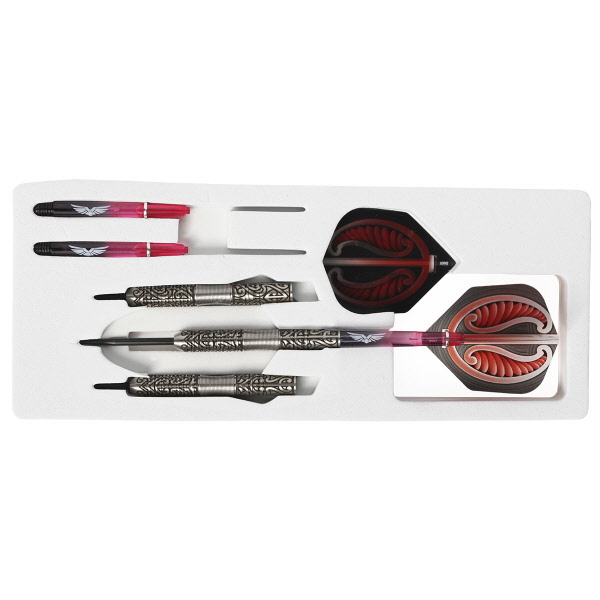 Its straight-as-an-arrow barrel gives you extra assurance with a true grip that runs front to middle. 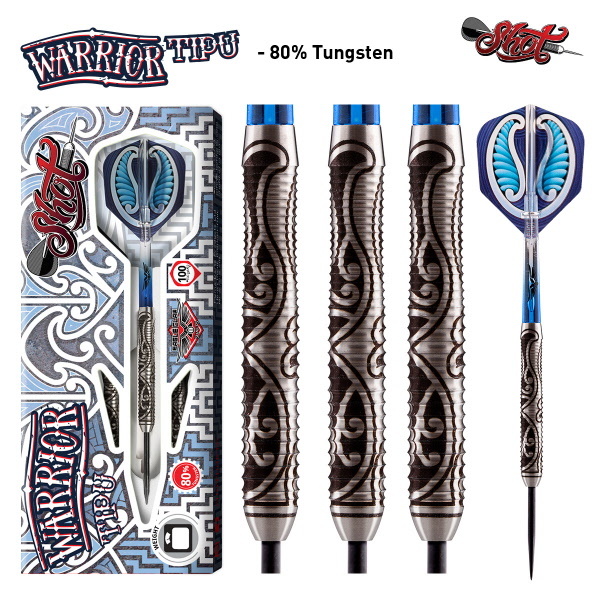 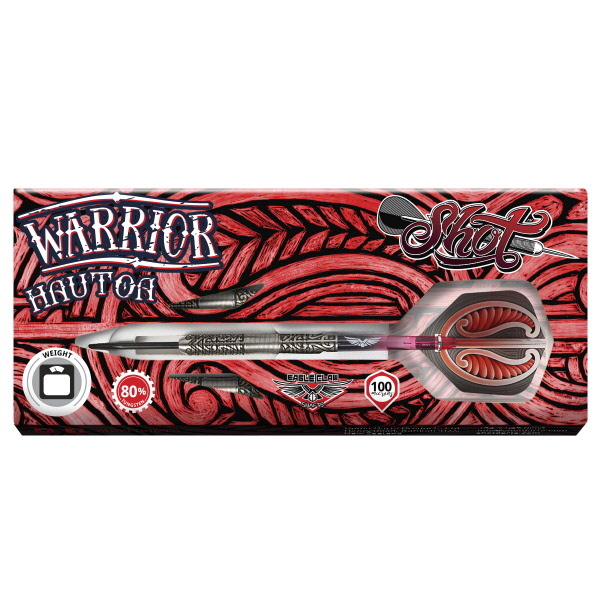 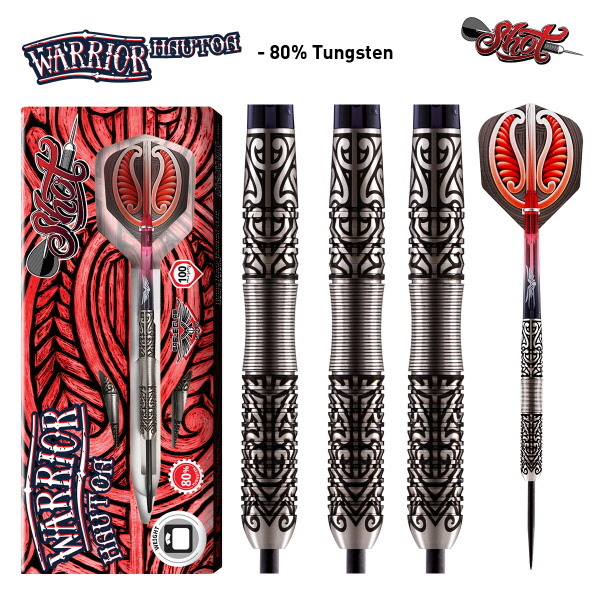 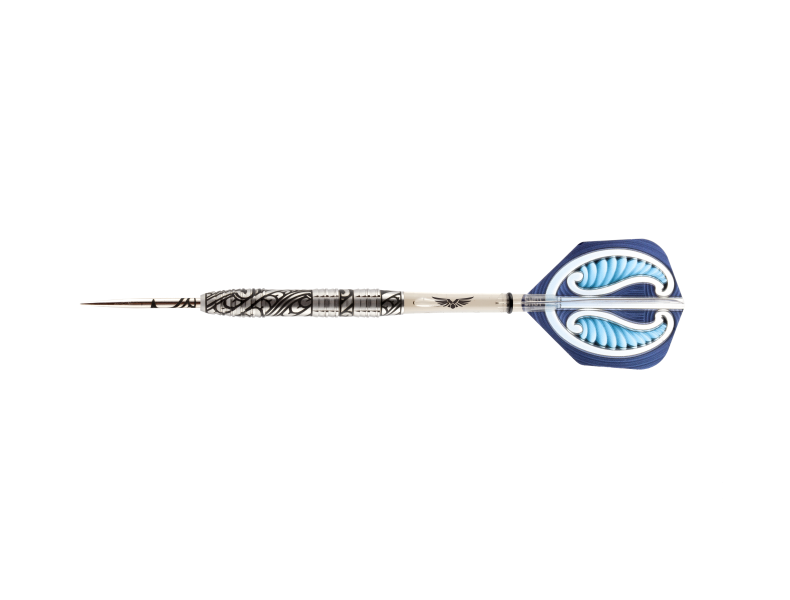 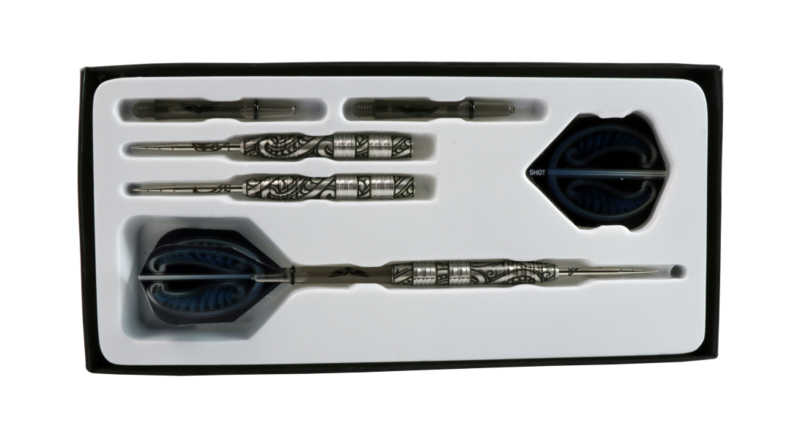 By popular demand, the Warrior 3 has been designed with a sleek, streamlined nose, and is a great dart for most players, particularly if you grip the barrel in the front to middle. 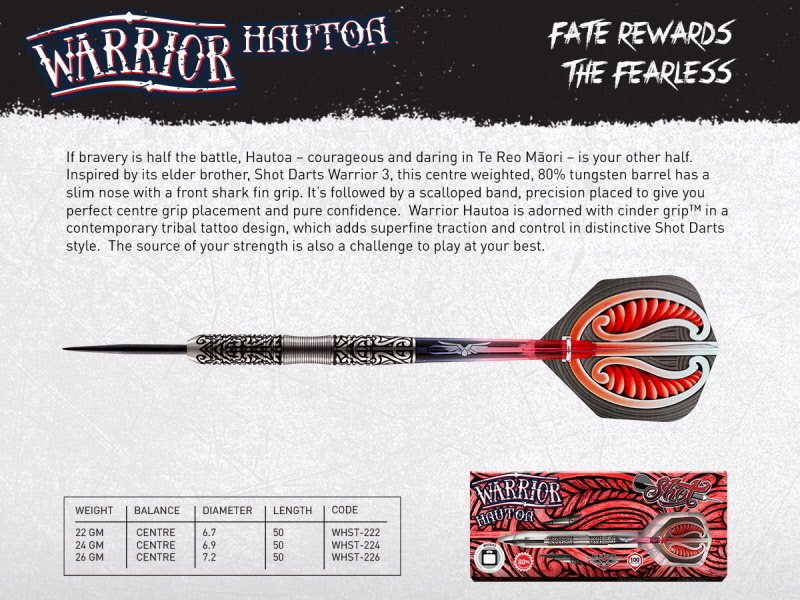 Choose the Warrior, and unleash the warrior within this weekend. 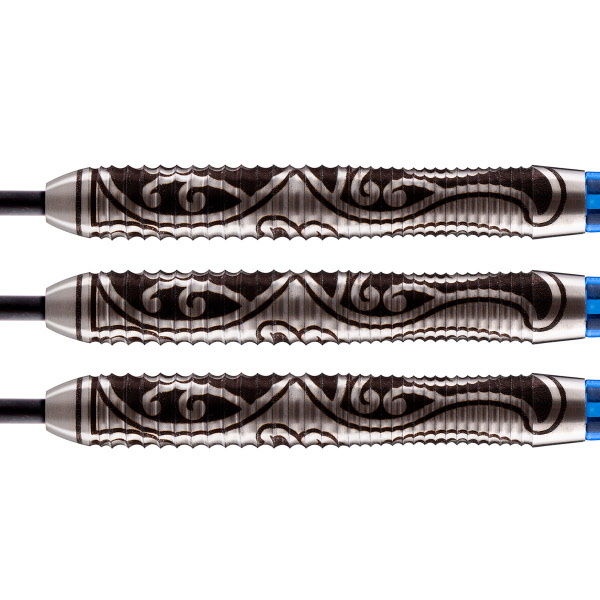 Barrel Design: Streamlined nose area with additional grip factor area in front to mid area.